We are so grateful that you are considering partnering with our ministry. 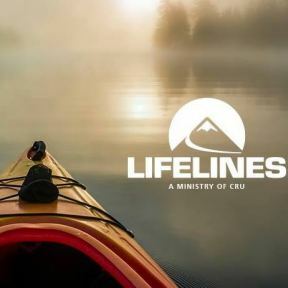 As a part of Cru, Lifelines is committed to helping take the gospel of Jesus Christ to all nations. Our purpose is to help people grow in relationship with God, in relationships with each other, and in character and leadership. Our main audience is college students, though we also take high school students and faculty on trips. The outdoors has historically been an effective venue to connect with people, and with our increasingly media-saturated culture, it can be even more transformational. We have a vision of God’s kingdom advancing all over the world as students encounter Christ through adventure and experience. By contributing to our Blue Ridge Lifelines account, your money will go directly toward initiatives here in our region. With your partnership, we will open new areas of influence, sponsor more students to go on our trips free of charge, and equip our team with necessary outdoor gear and training. (Please let us know if you prefer to fund a specific initiative in the notes section of your giving).